Whew! 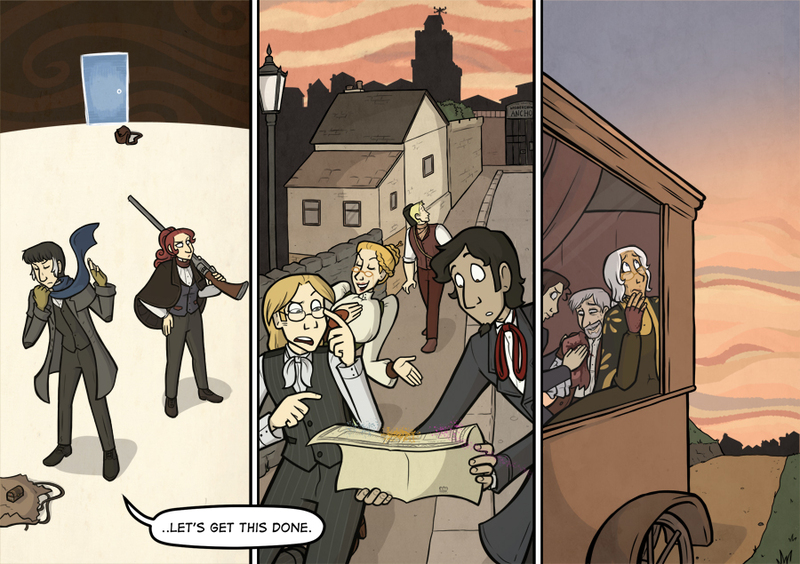 And with this dramatically appropriate moment, we're at page 600 of Widdershins! Hooray! This is where the chapter really begins. I'll be taking a break next week to buffer up for the upcoming cons I'm at, and to finish off production of the print edition of Vol 6. During that week, a buddy of mine is going to entertain you with some guest strips, look out for those Tuesday and Friday, then I'll be back the week after.